Hun, the phone is ringing off the hook back in the old third, could you get that for me? More and more people, especially those who meditate on a regular basis, are beginning to have their initial experiences of Lightbody. The Light of your Lightbody is within yourself, within your spinal cord, within that kundalini energy that is within the core of your spinal column. The kundalini energy is stored at the base of the spine and is often known as the “Sleeping Serpent.” As your consciousness expands into your fifth dimensional gamma waves, the kundalini energy begins to rise up your spine. At first, the kundalini moves up a little bit, and you must adjust to that unique feeling, as well as the other new sensations in your body. Therefore, you go back into your daily life, and the Kundalini moves back down into the base of your spine. But the next time your consciousness arises, your attention is focused on your personal transformation, and you are ready to continue your process of personal transmutation. The Kundalini moves up a bit higher, but returns to the base of your spine as you gradually adapt to this unique sensation. This process is repeated again and again as the Kundalini rises and then returns to your base. The process of your Kundalini process matches your process of expanding your consciousness, and thus your perceptions, into a higher frequency. And then… You are late for work. The kids need their breakfast. An important phone call comes in. In other words, your 3D life calls you, and you need to return to your third and fourth dimensional states of consciousness. Fortunately, gradually, the Kundalini goes up just a bit further. This occurs as you adapt to the intense, inner feeling of the rising Kundalini. This process is much like going into cold or hot water. At first you may only put your feet in the water. Then, as you adapt to that feeling, you can go a bit deeper into the water. It is in this manner that the Kundalini moves up your spine. When you can meditate and focus on your Higher Self, your Kundalini rises. Then your Kundalini falls back down into the base of your spine when you need to be involved in your physical responsibilities. As your Kundalini moves up your spine, your Lightbody becomes activated. When it moves back down to your base, your Lightbody returns to its dormant state. Each person has control of their process by learning to adjust their states of consciousness. When you are in a higher state of consciousness, likely because you are meditating, involved in a creative venture, merging with nature, among other things, your consciousness expands, your kundalini rises and your Lightbody becomes stimulated. Some of you are aware of actually choosing just how far up you wish your Kundalini to rise because you know that once the kundalini goes all the way through to reach your crown, you begin your transmutation into Lightbody. You also know that once your transmute into Lightbody, you no longer resonate to third-dimensional Earth OR your third dimensional body, reality and physical life as you once knew it. On the other hand, if you just want to leave your physical life because you are impatient or because you only care for your self, your consciousness will be too low to transmute your form into Lightbody. 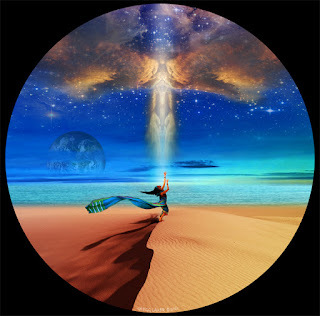 In other words, your transmutation into Lightbody will only occur with the higher states of consciousness that are associated with your commitment to serve all life and assist Gaia with Her planetary ascension. Those of you who remember your Higher Self and the “mission statement” that you wrote so that you could take an earth vessel to assist with Planetary Ascension, will not want to flash into Lightbody before you have completed your mission. These are the ones amongst you that can remember visiting their Ship, visiting with the higher, multidimensional beings, and can remember their own higher expressions of self. These awakened ones know that their reality is running simultaneously with their mission to assist Gaia. Therefore, they are always on their Ships, on their home worlds and with their galactic and angelic friends and family within the same NOW as they are fulfilling their third dimension mission on Earth. They know that they will never lose that reality. They know that they are on a mission to assist with planetary ascension. Their mission is to assist with the Ascension of an entire planet. Because of their personal dedication, they are limiting their return to Lightbody. They know that in order to adhere to and experience Earth’s third/fourth-dimensional planet, they need to maintain their third/fourth-dimensional earth body. Fortunately, Earth and Her inhabitants are flirting with the fifth dimension. Therefore, there are pockets of the NOW in which the beings on ascending Earth can flash into a brief experience of Lightbody. Of course, this experience is only brief to their third/fourth dimensional self, but it is a constant experience for their fifth dimensional and beyond self. 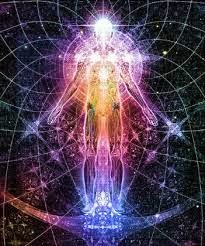 While one may have an initial experience of Lightbody in the third-dimension, if they surrender to that experience, they will leave the third dimensional resonance and enter into their fifth dimensional resonance. 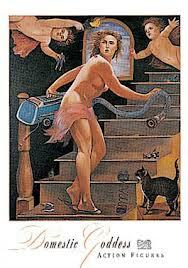 However, if there are any selfish intentions of “get me out of this mess,” their consciousness will be too low to activate the Kundalini. On the other hand, if they are raising their Kundalini to assist the planet, their consciousness will greatly expand. Furthermore, they will have an entire planet to assist their return to the fifth dimension (Personal Ascension) just as they are assisting the planet’s return to the fifth dimension (Planetary Ascension).